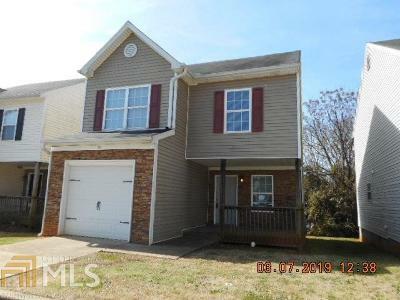 Spacious 2 Sty home w/Front Porch and Rear Deck. Beautiful Hardwood flooring down and carpet upstairs. Living/Dining Rm combo, Kitchen w/fridge, Half bath, Laundry and 1 Car Garage located on the main. Upstairs features the Master bedroom w/Full private bath and Walk in closet, 2 Average size secondary bedrooms and full Hall bath. Great location. Gated Community for additional security! Easy commute to all services and downtown Atlanta! Directions: I-75n To Exit 288 (Main Street/Hwy 113). Left On Main Street. Right On South Bartow St. Left On Cherokee. Right On Cassville Road. Left Into Middlebrook Drive.